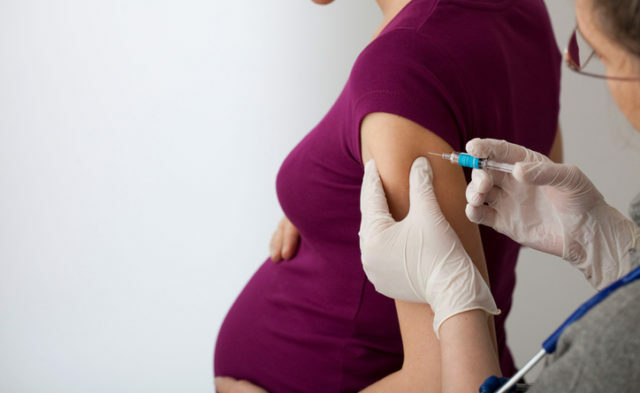 The highest pertussis antibody concentrations were associated with immunization early in the third trimester, specifically weeks 27 to 30 of gestation. 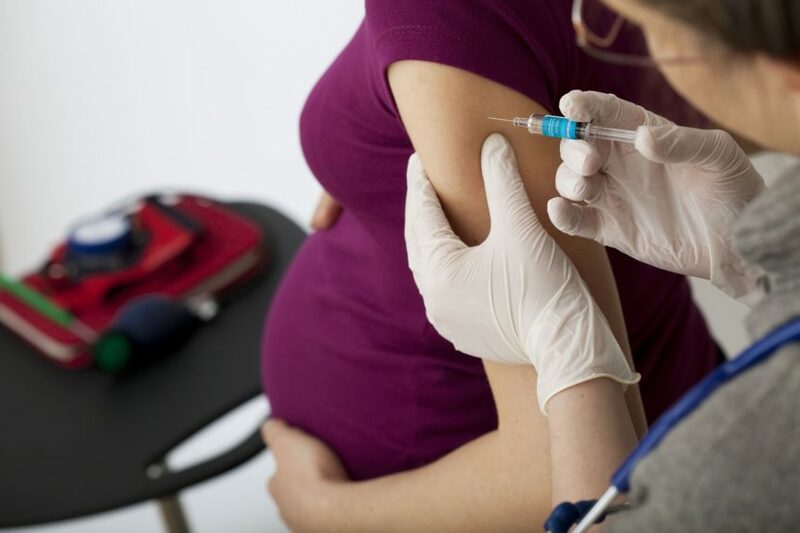 Immunization of mothers during the third trimester with the tetanus, diphtheria, and acellular pertussis (Tdap) vaccine was associated with higher neonatal concentrations of pertussis toxin antibodies compared with no immunization, according to data published in JAMA. The Tdap vaccine is recommended in the United States during weeks 27 through 36 of gestation for the prevention of subsequent pertussis in the infant. This prospective, observational, cohort study of neonates in Houston, Texas, was undertaken between December 2013 and March 2014 to determine optimal gestational age for immunization to maximize concentrations of neonatal antibodies. A total of 626 pregnant women were included in the study, and 312 received the Tdap vaccine at a mean gestation of 31.2 weeks (range, 27.3-36.4). The remaining 314 women were not immunized. In the vaccine-exposed group, geometric mean concentration of neonatal cord pertussis toxin antibodies was 47.3 IU/mL (95% CI, 42.1-53.2). In the unexposed group, geometric mean concentration of neonatal cord pertussis toxin antibodies was 12.9 IU/mL (95% CI, 11.7-14.3), resulting in a geometric mean concentration ratio of 3.6 (95% CI, 3.1-4.2; P <.001). Antibody concentrations of 15 IU/mL or higher were found in more exposed than unexposed neonates, 86% vs 37%, respectively (difference, 49% [95% CI, 42%-55%]). The same was true for geometric mean concentrations of 30 IU/mL or higher (72% vs 17%; difference, 55% [95% CI, 49%-61%]), and 40 IU/mL or higher (59% vs 12%; difference, 47% [95% CI, 41%-54%]). Statistical significance was demonstrated by P values <.001 for each analysis. Geometric mean concentrations were highest when the vaccine was given during weeks 27 to 30, after which they declined, peaking at week 30 with a geometric mean concentration of 57.3 IU/mL (95% CI, 44.0-74.6). As a result of the observational design of the study, causal interpretations of the data are not possible, note the investigators. In addition, the study was carried out at a single center and was exploratory in nature without any formal power calculation, therefore larger studies are needed to verify results. Finally, preimmunization and postimmunization serum samples were not collected, no women were immunized during the second trimester of pregnancy, and low numbers were immunized in late pregnancy. Although more studies are needed, investigators conclude that the study demonstrated “immunization with Tdap vaccine during weeks 27 through 36 of pregnancy, as recommended by the [Centers for Disease Control and Prevention] to prevent life-threatening pertussis in young infants, compared with no immunization was associated with significantly higher concentrations of pertussis toxin antibodies in neonates at birth.” Investigators concluded with the assertion that the highest antibody concentrations were associated with immunization early in the third trimester, specifically weeks 27 to 30. Healy CM, Rench MA, Swaim LS, et al. Association between third-trimester Tdap immunization and neonatal pertussis antibody concentration. JAMA. 2018;320:1464-1470.